But experts say the mission is a huge task and could detract from more useful space programmes. India has set an ambitious goal to send people to space by 2022. The mission and its short timeline — announced by Prime Minister Narendra Modi on 15 August — surprised many, including the head of the country’s space agency. “It came as a surprise to us,” said Kailasavadivoo Sivan, chair of the Indian Space Research Organisation (ISRO). Although Indian space enthusiasts have discussed sending people into orbit for more than a decade, the idea has not gained major political support until now. Following Modi's surprise announcement, Sivan said last week that his agency can achieve the task with the help of other nations. ISRO is now working on a plan to send three astronauts to space for between five and seven days, he said. It will prepare for that mission with two uncrewed missions that will attempt to reach a low Earth orbit of about 300–400 kilometres. The government says the entire programme will cost about 100 billion rupees (US$1.4 billion). “It is possible to do a very basic programme in a short period of time,” says John Logsdon, a space-policy specialist at George Washington University in Washington DC. If successful, India would become the fourth country to launch its own manned spacecraft, after the United States, Russia and China. But some observers say that India has a lot of work ahead of it and might struggle to meet the deadline. Others have criticized the government for announcing a space programme without consulting ISRO. “It would be ludicrous not to look at Modi’s pronouncement as an upcoming 2019 election speech rather than as a road map for India’s space programme,” says Gauhar Raza, a retired researcher and former chief scientist of the Council of Scientific and Industrial Research in New Delhi. ISRO already has several of the major components needed for a crewed spacecraft, says Sivan. These include a module to carry astronauts and a crew escape system, which would be used in the event of a mission being aborted mid-launch. ISRO has developed and successfully tested a reusable space shuttle, which could transport and return the astronauts. The agency’s Geosynchronous Satellite Launch Vehicle (GSLV) Mark III rocket will probably be used to launch the craft. The agency will have to upgrade some of its technologies, and test them all for crewed missions, says Ajey Lele, a senior fellow with the Institute for Defence Studies and Analyses, a government-funded think tank in New Delhi. For instance, the GSLV Mark III rocket will need to be able to launch crewed spacecraft, which are much heavier than the satellites the rocket is designed to carry, he says. Although the agency has developed technologies to support humans in space, such as spacesuits and an environment-control and life-support system, it has no experience in keeping astronauts healthy while in space, or returning them safely, says Lele. Sivan says ISRO will need the help of other institutions — such as the Institute of Aerospace Medicine in Bangalore — and more-experienced countries to develop some of these capabilities. “We will need some outside cooperation and that may reduce our time and save us money,” he says. To train its astronauts, India will probably have to use facilities in the United States, Russia or Europe, says Gopalan Madhavan Nair, who was chair of ISRO from 2003 to 2009. Logsdon says that India could also buy technologies from commercial operators while it develops its own equivalents. But he warns that it will be costly. “Human spaceflight with adequate risk cannot be inexpensive,” he says. Some science-policy analysts have been highly critical of the human space programme. 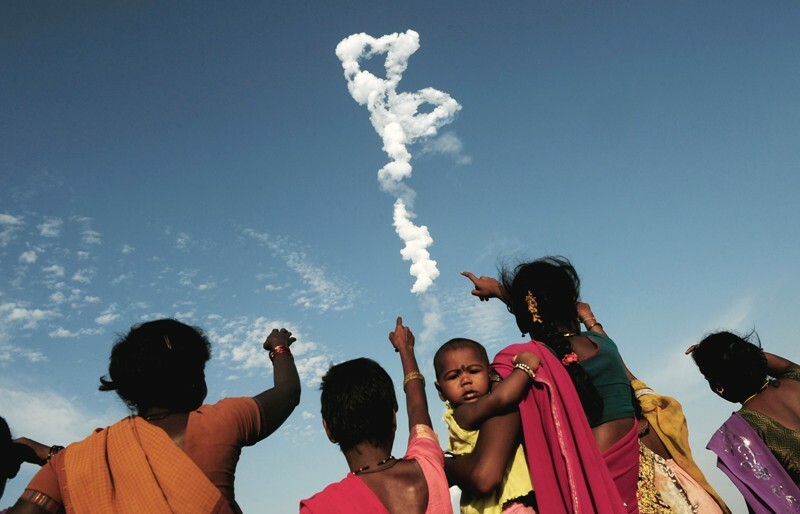 Prabir Purkayastha, vice-president of the non-profit All India People’s Science Network, which promotes the use of science to serve the public good, says that most of ISRO’s projects cater for India’s development needs, for example by launching satellites for communication and weather forecasting. Sending people to space “is essentially a vanity project that could divert scarce resources and derail ISRO’s existing programmes”, he says.